This template is only for the Blogger (blogger.com) platform. It will NOT work on any other platforms such as WordPress, Squarespace, WIX, tumblr, etc. 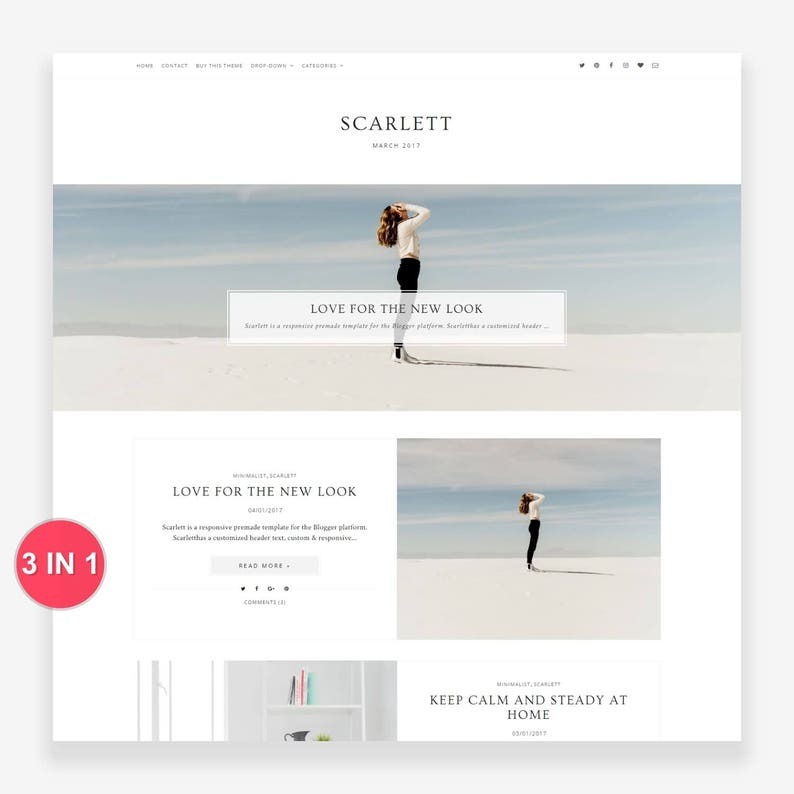 Scarlett's post and sidebar areas are 800px and 250px wide respectively. You can change the width of post and sidebar areas with Blogger Theme Designer. Scarlett is a feminine, minimalist and responsive Premade Blogger Template accented in soft color tune for blogger platform (blogger.com). It's loaded with awesome features. Using the Blogger Theme Designer, you can change nearly every font, color and even position of each element with this blogger theme. ❤ WHAT WILL YOU RECEIVE! → Help File with the link to the online documentation page and Free Installation. Let me install this blogger template for you to save your precious time! Just message me with the template setup request and I will send You the information that I need to install the blogger theme. If you have any questions, you are welcome to contact me at any time whether before/after purchase. 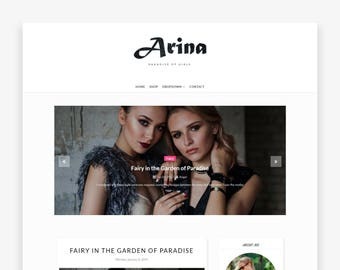 → Adjustable 2-Column template - You can change width of Posts and sidebar section using blogger template designer. → Customizable Template – Change the colors, fonts, width, background image to suit your needs. → Responsive Design – Looks professional on desktop, tablet and mobile devices. → Full Width Slider - Recent posts slideshow for homepage and index pages. → Multi Level Drop-Down Menu at Top - This means you can add subpage to subpage and multi level subpages to any subpage too. → Pin it image hover - you can pin any image by just clicking one button. → Custom Masonry style grid layout for posts on Homepage, label and search pages. ✓ You can change font size, type, color, margin, padding, border width, border color, post title and much more from Blogger Theme Designer. ✓ Change all widgets and section color and style. ✓ You can also change the entire color scheme of template using the Theme Designer. ✓ You can resize your blog width ans sidebar width right from blogger theme designer by dragging the slider. ✓ Add/Remove/Rearrange the elements in the header, footer, sidebar and post area as per your need. → The related posts widget works with labels; if you want them to work, you have to add labels to your posts. → Posts Should have minimum 1 image in order to show thumbnails.Make sure to select "Original size" whenever you upload images to your posts, since Blogger displays images in a small format at first. → Please upload at least the first image via Blogger, don’t use external links for images. 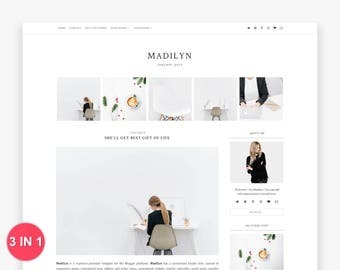 → The Fonts, Colors, Width and Margin of various elements can be changed from Blogger Theme Designer (Your Blogger Dashboard >> Theme >> Click Customise Button). → Some of the widgets has been edited and customised, so if you remove and then re-add them, they will not display same as like before. If this happens, contact me and I'll fix it. 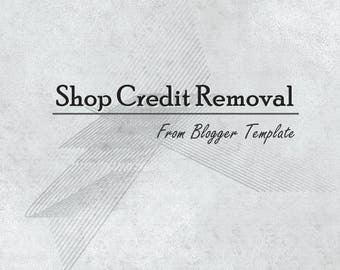 → The credit link in the footer of theme should not be removed without purchasing the "Remove Shop Credit" listing (https://www.etsy.com/in-en/listing/548842440/remove-shop-credit-credit-link-removal). → Once Payment is processed and confirmed, You will receive an email with a link to download your template and instructions. → Download the file (.Zip folder including .xml template files and a help guide to install blogger template). → Upload the template with help from the detailed instructions. → Sharing, re-selling or giving away the product is NOT permitted. → This template is only for personal use and it can be used on maximum 2 (two) blogs (all blogs should be owned by the buyer). → The images and text as shown in demo are not sold with the template. If you have a question before or after buying a template or want to change some details of the theme, you can always message me; I will be happy to help! Thank you for your thorough help with set up, Robin. Really appreciate! 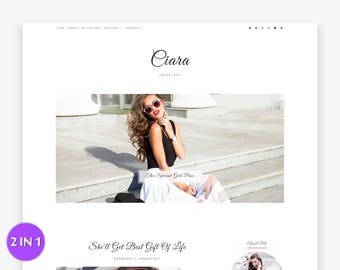 I absolutely love this blogger template! Easy to install and very professional looking. At first I didn't understand the time difference between the seller (Robin) and I. Once I understood, Robin was very very helpful and even did little tweaks in blogger for me which I couldn't understand and which were out of the template. Great template, easy to follow directions and a very helpful seller! Yes ! I can install, and setup the template for you and I will do this for free. This offer is available on demand. If you prefer, you can install and setup your template by yourself with the help of documentation available with theme. → Refunds will not be made due to the fact that all the themes are instant downloads (unless you accidentally purchase something twice). → Refunds will NOT be made if you have purchased the wrong theme - please ALWAYS make sure you read the name and description of every listing, so you will know what you're purchasing. In Following Cases, Refund is granted instantly without asking any questions. → If you do not provide job details for continuous 2 weeks in case of custom orders. Refund is granted after expiry of 2 weeks. If you have any questions before/after purchase, you're welcome to message me. 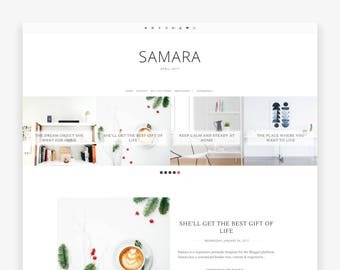 → Use my themes for your personal blogs (Maximum 2). → Make changes to personalize it. If anything gets wrong, Just Contact Me at http://etsy.me/2iFUZet and I will help you to solve the issue. → Re-sell or Redistribute my themes. → Share my themes for free. → Claim my work as your own. → Use it on more than two (2) blogs (all owned by the same person). → Remove the credit to my shop (contact me if you want to remove it). Unless otherwise stated in the description of the item you've purchase, ALL Themes and Add-Ons from my shop will be re-sold (except for custom/semi-custom designs). 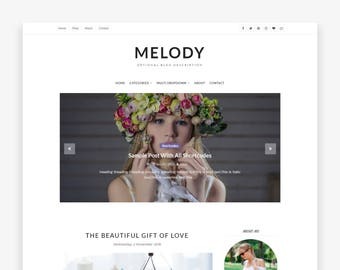 Theme Customization Service is available for template bought from any shop i.e. I can also make changes to theme bought from any other shop. You can contact me for customization. I CAN'T HAVE PAYPAL ACCOUNT. HOW CAN I PAY ? If you do not have PayPal Account, Then do not worry. You can Still buy still items from this shop by using your debit or credit card. Yes, You can PAY & Buy items from this shop without creating any account on PayPal. Read the Following article to know more about how to pay with paypal wihout account. Follow the instructions given in above article to buy items from this shop using your debit or credit card.